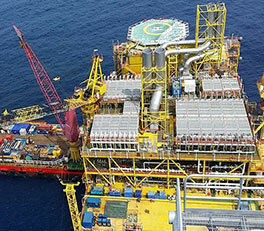 Sapura Energy provides Hook-up and Commissioning (HUC) services for new and existing facilities in the oil and gas industry. We deliver a full work scope capability across major HUC platforms supported by a matured and well-rounded organisation with complete support departments such as Procurement, Logistics, Health, Safety and Environment, Quality Assurance and Quality Control and Human Resource and Manpower. Drawing from our proven capabilities, extensive experience and strength of resources – our 2,000-strong workforce, comprehensive fleet of marine vessels and strategically located fabrication yards – we have set ourselves apart for delivering synergy and harnessing the very best of capabilities to deliver complete solutions to customers globally. We have completed major greenfield and brownfield projects as well as Enhanced Oil Recovery (EOR) projects for various oil and gas operators as well as for Engineering, Procurement, Construction, Installation and Commissioning (EPCIC), and Front-End Engineering Design (FEED), Engineering, Procurement, Construction, Installation and Commissioning (FEPCIC) contracts. View our full track record here to know more about our HUC capabilities. We maintain the highest standards of Quality Health, Safety and Environment (QHSE) throughout our HUC operations as proven by our industry-leading record. Find out more about our risk management systems and certifications.